SnoreDoc Review: Inexpensive But Does It Really Work? 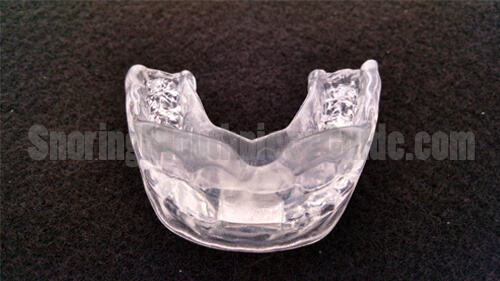 The Original SnoreDoc is yet another MAD used to adjust the lower jaw forward, opening the airway and preventing snoring. 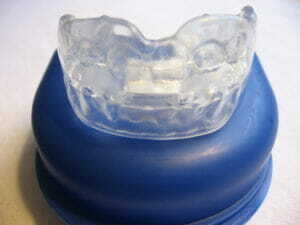 This mouthguard like oral appliance happens to be one of several similar devices that have surfaced in recent years as an increasing number of people deal with snoring issues on a nightly basis. Some suggest that nearly 40% of Americans snore and this number only accelerates as we age. Snoring can lead to stroke and heart disease along with several other ailments. 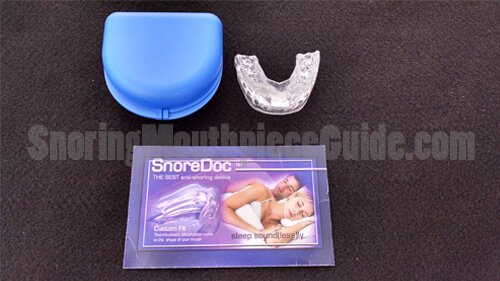 The SnoreDoc proudly boasts that it has the “best anti-snoring device” and it even says so under their websites title. Are such claims true or are there better options available? These are a couple of the questions that we will further investigate. What makes the SnoreDoc special? In a world where there are so many options available, most people are interested in exactly what differentiates this product from others that are available. For starters, its customizable boil and bite technology allows you to take an exact impression of your mouth for a better fit. While this feature is not exclusive, it is a plus that several others do not have. 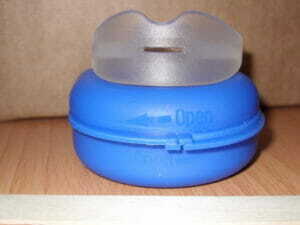 The SnoreDoc has a breather hole which allows air to enter the mouth while the piece is installed. People who have nasal issues can appreciate this feature as other mouthpieces restrict or even prevent breathing through the mouth. For some, this reason alone is a deciding factor. In addition, it is registered with the FDA, making it safe to use. The company also claims that they are registered with the Better Business Bureau, although I was unable to find any information while searching for the product name or Pearl Enterprises LLC, the listed manufacturer’s name. Boil a pot of water and remove from the heat source for 20 seconds. Insert the provided Popsicle stick into the front air hold. Be sure to not push it in too far because this will interfere with the fitting process. Submerge the entire device into the hot water for exactly 18 seconds, remove and shake off the excess hot water. Allow to cool slightly and place into your mouth curved side up. Immediately move the lower jaw forward as if you were eating corn on the cob. Make sure that you lower teeth are just past your upper teeth. 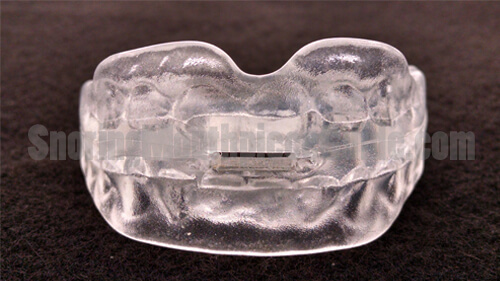 Hold this position for one minute while the mouthpiece takes an impression of your teeth. After a minute, remove from your mouth and place into a bowl of cold water for 2 minutes. This will ensure that the plastic retains its shape. Remove from the water, remove the Popsicle stick and check for fit. I was able to achieve an awesome fit by following these instructions. The unit fits well inside of my mouth and was ready to use. I used the SnoreDoc for the next 7 nights and had no issues when it came to snoring. There was an adjustment period of 3 days initially and I did experience some jaw stiffness in the morning. This is to be expected with any mandibular advancement device as your lower jaw is held in an unnatural position for several hours while you sleep. After the third day, I was accustom to wearing it and no longer experienced any discomfort. The Snoredoc did, in fact, work well to control my snoring. 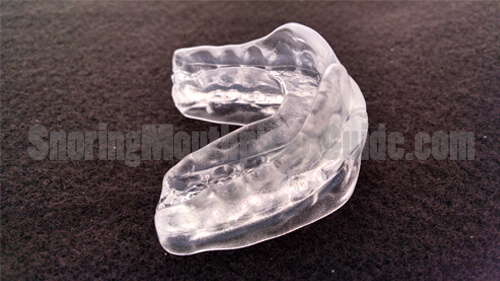 It works using the same principle as many of the other anti-snoring devices, by holding the lower jaw forward as you sleep. I would say that this device is comparable to the Sleeppro Standard or the Ripsnore. One feature that could use improvement was the air hole. It is a bit narrow (the size of a Popsicle stick) which can make breathing through the mouth a challenge if you are a mouth breather. This is otherwise a good product for anyone who is looking for a basic boil and bite device that is affordable. 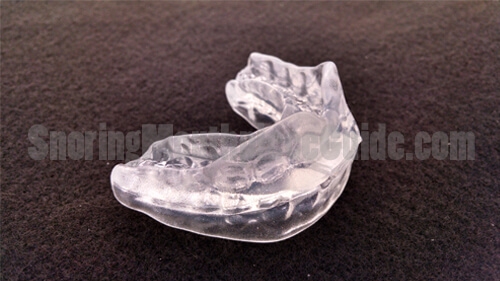 I documented my experience using this mouthpiece in the video below. For the most part, those who purchased this device have been satisfied with their purchase. As with all other products that are available, there are occasional complaints or concerns. One of the most prevalent concerns is the fact that sometimes the piece makes a whistling sound due to the size and shape of the air hole. This is an understandable complaint as the sound of whistling can be just as troublesome as snoring itself. While this is unlikely to happen in most cases, it is still a possibility. Those who have a tendency to grind their teeth often express discontent with the fact that the device does not last very long. While this may be true, it is also the case for just about any other product on the market. Some report having a difficult time keeping it in their mouth the entire night. After a few nights, you should get used to wearing it and it will usually stay for the entire night. If you are still having trouble, consider remolding it to better fit your mouth. Be careful as they can only be remolded 3 or 4 times. Doing this too often can weaken the soft rubber material and render the device useless. This device sells for $49.99 and includes a storage case. Also, it ships free of charge. Price wise, it falls in line with others in its class. A frontal air hole permits breathing through the mouth. Many who snore breath in through their nose and out through their mouth. Some breath exclusively through their mouth. Without a breather hole, this task would be very difficult, if not impossible. 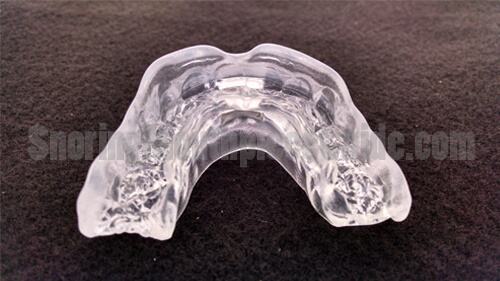 Thermo-plastic ensures a comfortable fit as it can be molded and remolded a several times. 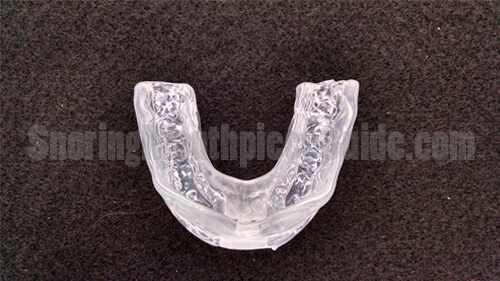 This boil and bite type fitting is the next best thing to getting a custom impression made at your dentist’s office. Several competitors are starting to catch on, designing their products in a similar fashion. At $49.99, it is affordable. Other often more complex devices that are available can cost $100 or more. 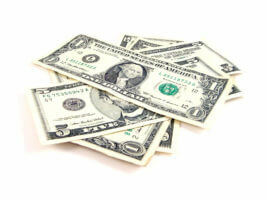 They offer a money back guarantee which makes it even more enticing. The manufacturer claims a 95% satisfaction rate. While this does not necessarily mean “success rate” it does indicate that many are satisfied with their purchase. The Snoredoc is somewhat bulky and can really leave you with a sore mouth. While this typically goes away after a few days for most, others have discomfort that lingers as long as the device is used. There are other alternatives available which take up less room in the mouth or even better, none at all. Although an abundance of studies were done on MAD’s this particular one has not been clinically tested. This, however, does not mean that it doesn’t work because there are several who have tried the product and are happy with the results. The Snoredoc works like several other OTC snoring prevention devices and is fairly affordable. There are however better alternatives that are available which may cost a few dollars more but are a better long-term solution. The Zquiet, for instance, is one of my favorites because it works well and is much more compact than any boil and bite snore control product that I’ve used. I’ve tried this product and wrote a detailed post highlighting the many reasons why I like their product. It’s effective, easy to use and does not have special fitting instructions. You simply rinse it off and place it into your mouth. One of the best features is the hinged design which allows you to freely open and close your mouth, making it less awkward to wear. Keep in mind that there are several actions that you can take to help prevent snoring. Here’s some extensive information provided by Walgreens on sleep apnea that relates to snoring. Also, take a look at these great tips to help snoring naturally. 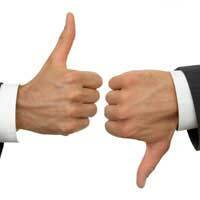 Previous post: Snoremender PS product review – How does it stack up against its competitors?